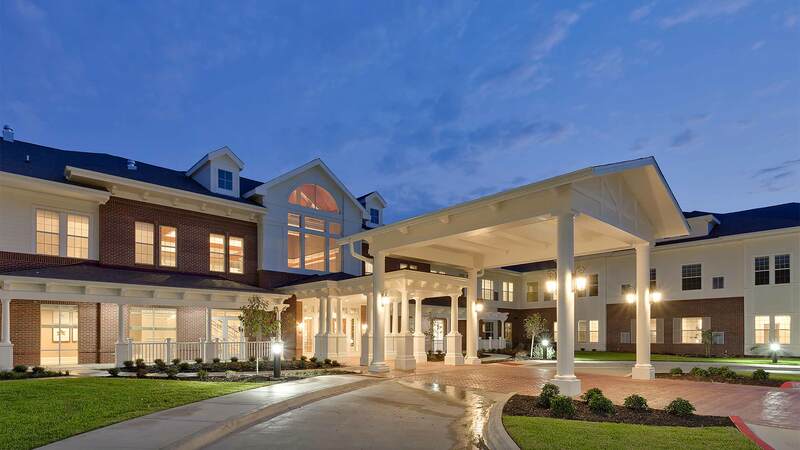 Methodist Retirement Communities selected our team for the redevelopment and expansion of an existing assisted living and skilled nursing community in Bryan, Texas. 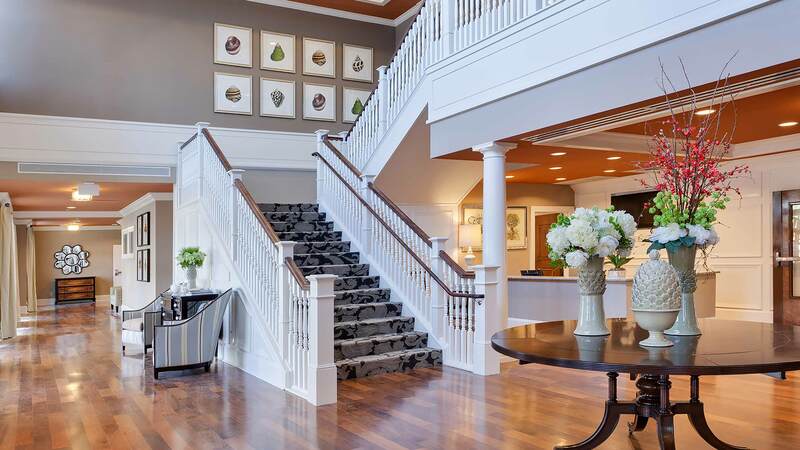 The existing community was filled to capacity and lacked modern amenities and an efficient design for staff. 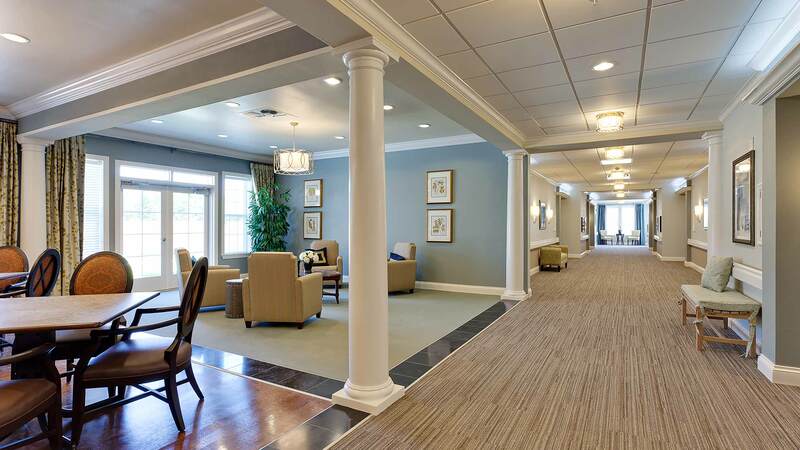 Phase I included the construction of a new health center for Crestview Retirement Community, which contains 48 assisted living units, 18 memory support units and 48 skilled nursing beds. 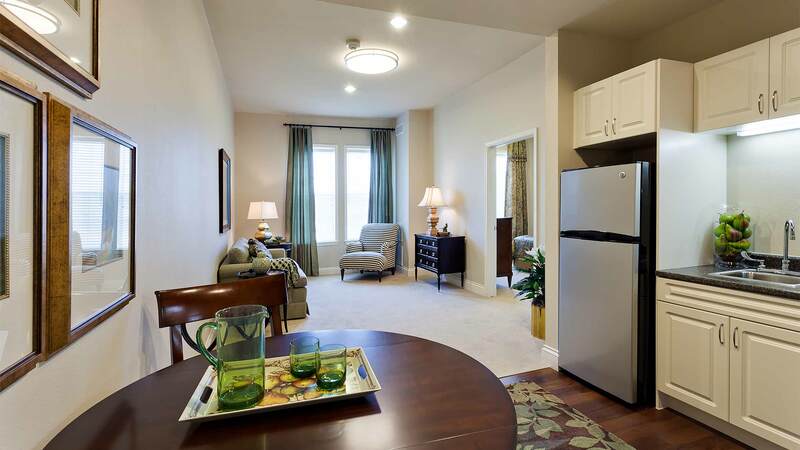 Allowing the residents and staff to remain in place during construction was an important goal of MRC. 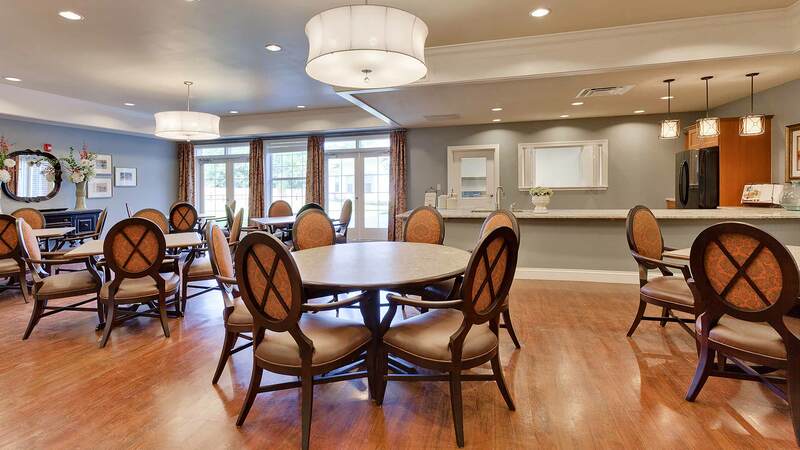 Phase II, Arbor Oaks at Crestview, includes the addition of 92 independent living units to the campus to complete the Continuing Care Retirement Community model. 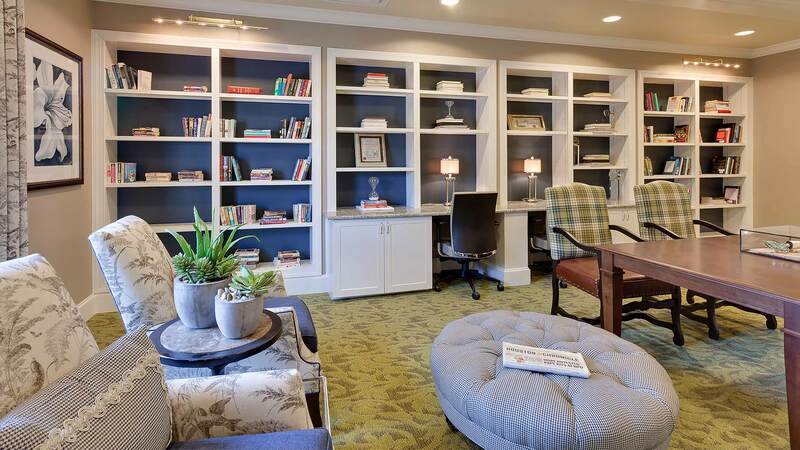 Dining rooms, social spaces, a wellness center and salons are available for all levels of care. A new chapel, utilizing the existing stained glass windows, helps bridge the connection between the health center and independent living units. The design of the new campus capitalizes on the lush site. Mature live oak trees and an existing walking trail are incorporated into the design to help facilitate outdoor recreation. The existing building has a strong connection to the outdoors which is a theme that carries over into the new community.